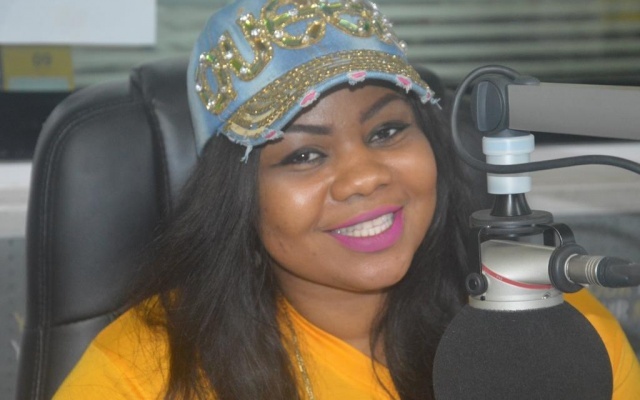 Popular gospel artiste Gifty Osei has revealed she deliberately stirs controversy to attract public attention. The Aseda songstress has often been at the receiving end of criticism from the general public for her actions and comments in showbiz and on social media. She was trolled after appearing on the red carpet of the 2016 Vodafone Ghana Music Awards (VGMA) dressed in a gown – which she later claimed she bought in Dubai for $2,000 – described by many as a “mosquito net”. She was also once accused of wearing hip pads to enhance her hips and enlarge her derriere. Gifty was at the centre of a fresh storm last July after uploading to Instagram a video of herself in heavy make-up. The video went viral with fans blasting the award-winning musician for what they said was make-up gone wrong, with others suggesting she had put on too much slap – an action viewed as rather flamboyant for gospel musicians who are regarded as modest and conservative. But she responded to the trolls with a humorous video of herself affecting a foreign accent and telling critics she was learning to speak Twi. “As a human, you should make yourself happy from time to time. You know, the perception about gospel artistes is that we are snobbish, that we do not socialise and all, so that day I was just having fun,” the 2012 VGMA Gospel Artiste of the Year and Gospel Album of the Year winner explained. According to her, she has a sunny disposition to life and views insults on her person on social media and other platforms lightly, adding that her nine years in Ghana’s showbiz industry had conditioned her to take the good with the bad. “If you are new to the industry and do not understand how things work, you would think people hate you. … I like criticism. Hearing I have done something improper chastens me,” she told Nana Romeo on Accra100.5FM’s mid-morning show, Ayekoo Ayekoo, on Friday.